Judging by the response to the post on the Della Theater, Flint Expatriates love the movies. And if that's the case, you have to visit waterwinterwonderland.com. It's a compendium of all the theaters and drive-ins — past and present — in Michigan. There are some great photos and recollections, and an option to submit comments. Warning...you can spend a lot of time on this site. 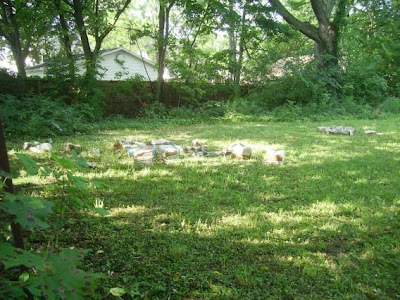 "A 'nudist club' on Fenton Road is in trouble for allegedly offering more than just relaxing massages," reports Bryn Mickle of The Flint Journal. "With complaints from residents that used condoms have littered the neighborhood since the Paradise Spa and Sun Club opened this year, Genesee County Prosecutor David S. Leyton has asked a judge to padlock the club on the grounds that it is a front for prostitution. "The owners says the club is misunderstood. "'It's a beautiful place and it's above board,' said Jon Lindhurst. "'My neighbors don't understand it.'" Smurfs Inc., where are you? Oh wait...suddenly the Flint cop who got canned after he spoke to the media is back on the job. I guess it was all a big misunderstanding, not retribution by city hall for an officer exercising his right to free speech. "A Flint police officer who claimed he was fired Thursday for talking to the media has his job back, according to the officer's attorney. "Sgt. Rick Hetherington received a hand-delivered letter Saturday saying that the decision to terminate him had been rescinded, said his attorney Gregory T. Gibbs in a message Saturday night. "No other details are available. "When contacted Sunday, Mayor Don Williamson said he didn't know anything about the situation." "The American Civil Liberties Union is taking the City of Flint to court over its ban on police officers talking to the media. "The lawsuit was filed in federal court Wednesday and asks a federal judge to strike down the ban. "The ACLU will seek an injunction if the city doesn't drop the ban immediately. "The suit names three police officers as plaintiffs: Sgt. 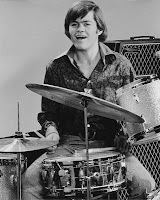 Rick Hetherington, Sgt. Lee Ann Gaspar and Lt. David Winch. "In addition to asking a judge to rule the speech ban unconstitutional, the lawsuit seeks unspecified damages for Hetherington and Winch." 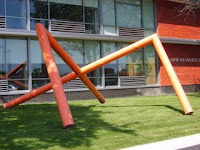 Flint Expatriate Jeff Stork, who now lives in "the shining metropolis of Los Angeles," has a nice photo collection capturing the crisp angles and well-cut lawns of the Flint Cultural Center at his World o' Jeff blog. There's also quite a few posts related to Flint that are worth checking out. A reader named Mary comments on the late, great Della Theater on Welch Boulevard and — Presto! — a photo of the theater is produced, courtesy of Mary Fisher, via Grumkin. Yes, Flint Expatriates suddenly has established a reliable supply line for great photos of Flint in the fifties. (Many of you younger Flintoids may have illegally purchased beer and wine at drive-thru party store that's just out of the frame on the right. I won't mention any names.) 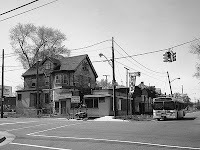 The Della was later replaced by a Citizens Bank branch.) As usual, you can click on the photo for a larger image. Here's Mary's reflection on the Della: "I have wonderful memories of the Della Theater on Welch Blvd. My dad would drop me and my friends off at the theater and come back after the double feature. I felt sorry for the adults that attended those Saturday matinees. The kids were wild. It only cost 35 cents for two movies! Half the time I didn't understand what was going on in second movie — usually a drama that was geared for adults." Another Update: A reader has pointed out that it was a Genesee Bank branch that landed near the spot of the old Della, not Citizens Bank. Sorry for the error, and thanks for the correction. "Flint police are investigating the stabbing death of a 41-year-old woman this morning. "Police responded to King Avenue near Stockdale Street about 1:30 a.m. on reports of a stabbing. "Tracey Kemp was taken to Hurley Medical Center, where she was pronounced dead of a chest wound. It was unknown what she was stabbed with. "Police have arrested a woman in connection with the stabbing. No other details have been released." The Flint Murder Map tracks homicides in The Vehicle City throughout the year. Vernor's fanatics are gathering in Flint. Run! "In the shadow of a downtown mural that pays homage to the beverage, the Vernor's Collectors' Club converged on Flint Saturday to sell and swap collectibles, rub elbows with other Vernor's fans, and drink their favorite soda, famous for its highly carbonated fizz with a heavy kick of ginger. 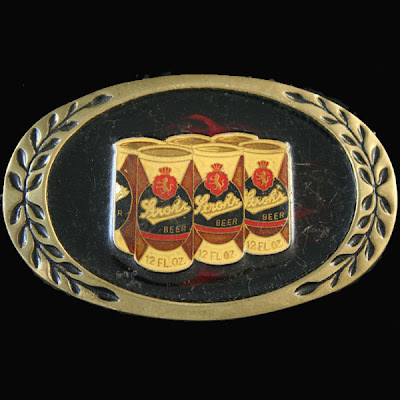 "Flint was a natural choice for the second annual convention of the Vernor's Club, because the downtown Halo Burger once was a Vernor's soda shop and retains some of its ginger ale history. Flint also is home to the only remaining Vernor's mural, next to Halo Burger on South Saginaw Street." To state the obvious, Flint cops have a very tough job. But it gets tougher when officers get laid off by the city. Or fired for daring to talk to reporters. "[Sergeant] Rick Hetherington [left] was fired Thursday for talking to the media last week, said his attorney, Gregory T. Gibbs. "The firing is a 'tyrannical act,' said Gibbs, chair of the Greater Flint American Civil Liberties Union. "The firing outraged other officers at the department who asked to remain anonymous for fear of retribution. "'Ridiculous,' said one officer. 'I didn't realize that becoming a police officer took away your freedom of speech.'" What do expect from a mayor who arrests the paperboy when he doesn't like the news? I guess it's not surprising there's a recall effort underway. With a few more customers like Joseph Macko, G.M. would be doing just fine. There are loyal customers, and then there's Joseph Macko. The 84-year-old Flint man has bought or leased a new Cadillac every year since 1955, the year Disneyland opened in Anaheim, Calif. "You only live one time. 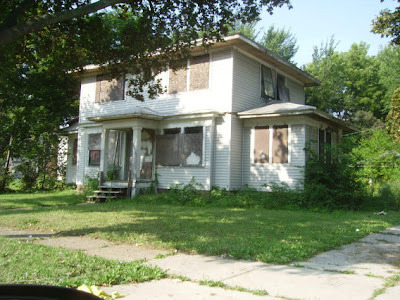 Money is to spend," he told The Flint Journal. "I spend it once I get it." 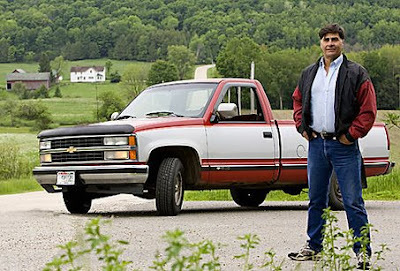 Macko, a retired General Motors Corp. worker, used to buy a new car every year, but he's been leasing the last few years. Last week, he drove home this year's fresh set of wheels — a black 2009 Cadillac DTS — from the Al Serra Auto Plaza in Grand Blanc. "He looks forward every year to buying a new car," said Gordon Taylor, who has been Macko's salesman for 22 years. "He wants that same vehicle." Marcella Macko said her husband isn't the spendthrift he might seem — he saves up all year to pay for a new car. But, she said, she just doesn't get excited anymore about the annual ritual. "He does, but I don't," she said. "It's been about a year since construction for the new dorms started. Crews are entering the home stretch and preparing to welcome more than 300 students to downtown Flint. "'The campus has waited so long for this,' said U of M-Flint Housing Director Jeanine Bessette." 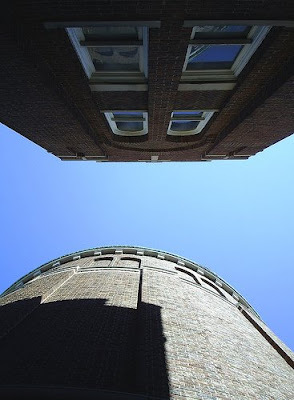 A photo by Jar With Most captures the close architectural connection between St. Matt's church and school. Two shots by Grumkin on a recent visit to Flint show what's left of St. Matt's school. "Terry Schwarz, a senior planner with the Cleveland Urban Design Collaborative, has embarked on an ambitious set of projects to prove, in a playful and whimsical way, that shrinking cities can retain expansive hope. 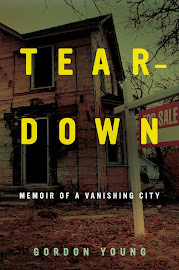 "A Pop-Up event is, as Schwarz explains, a temporary use of vacant land or buildings. 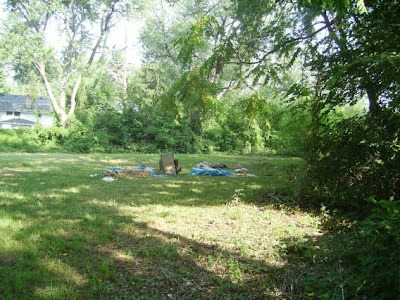 The intent is to highlight the different kinds of potential in vacant sites in Cleveland, and to develop a sustainable business model for others who want to try their hands at similar festivities. The events, or installations as they are sometimes called, are envisioned to include outdoor markets, restaurants and shops, art installations, concerts, landscape interventions and other fun, yet thought-provoking events." Not sure how well this sort of thing would go over in Flint. 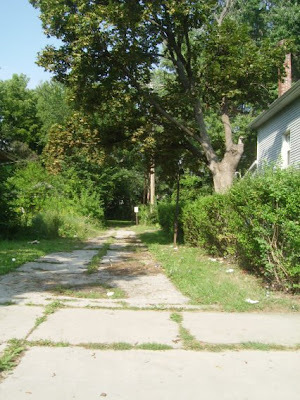 I was raised on the Westside of Flint, and it saddens me that kids in that neighborhood aren't able to experience the idyllic childhood that I remember. I moved to San Francisco in 1981 and returned to Flint in 1994. I work at Kettering now and feel fortunate to have a job. It's so tough for many people to find work. When I first moved back, people questioned my sanity. San Francisco is an incredibly expensive city, and I lived there during a golden time of affordability. I used to live in the inner Richmond district, and I had my below-market-value apartment for 9 years. My landlady was the aunt of Supreme Court Justice Stephen Breyer. She went to Washington for his swearing in. It was a great neighborhood bordering the Presidio off of Lake Street. I really was lucky to live there for as long as I did. Once I lost my cheap apartment to the landlord's granddaughter, I felt it was time to come home and help my aging parents. Things always happen for a reason. I had six years with them that I wouldn't have had if I'd stayed in SF. They passed away in 2001. I met and married Michael, the love of my life, in 2000. I had always wondered what I'd be doing in the year 2000. I never guessed that I'd be getting married! It was the first (and only) marriage for both of us. I lost him all too soon. He died of a heart attack on February 1, 2007. He was only 51. I hadn't thought about it, but I am a San Francisco expatriate now. As much as I love SF, I've always been a Midwestern girl at heart. I hope that I'll be able to see Flint reborn sometime in my lifetime. Hope springs eternal in me. James Howard Kunstler, the author and social critic who wrote The Geography of Nowhere, a history of suburbia and urban development in the United States, is often very pessimistic, to put it mildly, about America's post-oil future. But in an interview with Grist, his vision doesn't sound quite so grim for smaller places like — dare I say it — Flint. 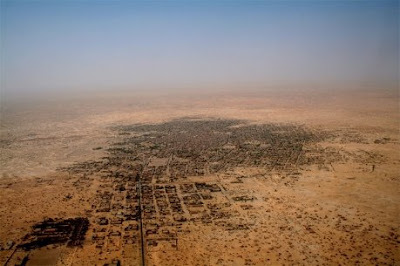 "I see it differently from many commentators, who just assume that cities are going to get bigger and that people will flee the suburbs for the cities. I think we're going to see something completely different -- I think we'll see a reversal of the 200-year-long trend of people leaving rural places and small towns for big cities and metroplexes. I think that the big cities of America -- Houston, Atlanta, Dallas, Washington, D.C., Boston -- these places have attained a scale that is simply not suited for the energy diet of the future, and in my opinion they are going to contract substantially, even while they densify at their centers and around their waterfronts, if they have them. "If there is a huge demographic movement — and I think there will be — out of suburbia, eventually it will resolve into people moving into smaller towns, smaller cities, that are scaled appropriately to our energy diet -- and to places that exist in a meaningful relationship with productive land. We're simply going to have to do agriculture differently, no question about it, and the places where this is impossible, like Tucson and Las Vegas, are really going to dry up and blow away. In the Northeast, where I live, many of the small towns and cities have about reached their nadir — but they have many virtues that are going to become apparent in the years ahead, not least that they have a relationship with water, both for navigation and for drinking." I'm reading the novel You Don't Love Me Yet by Jonathan Lethem, and I ran across a passage that touches on the amorphous feeling some expatriates have about Flint. "What is your complaint, sir?" "Same as always," said the complainer. "Nostalgia, except it's not just regular nostalgia. More like nostalgia vu. Longing for longing instead of the thing in question." My mom worked in the admitting office at McLaren for many years. She could sometimes pull a few strings and get you private room if you wanted it. I loved having lunch and milkshakes at the dimly lit little diner/coffee shop just off the main lobby. Our family befriended a lot of the foreign residents from Peru, Saudi Arabia and various other exotic locales. I've often wondered what your vision of America would be like if Flint was your only exposure to the country. (A lot of these guys played soccer with my brother in the Flint summer leagues, bringing some skill to an extremely rough brand of soccer that often resembled hockey or football more than futbal.) And I even got to visit the morgue once with my mom, where I discovered they really do have toe-tags on the bodies. 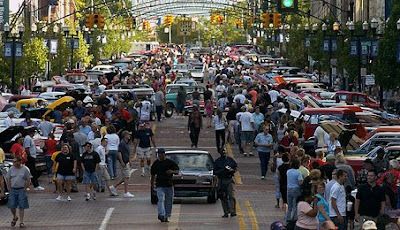 Organizer Dave Wood told The Flint Journal that roughly 25,000 to 30,000 spectators graced several downtown city blocks and about 3,000 cars were parked there. "It's all more than we expected," Wood said. "We have extra streets we didn't plan on filling that are all filled. People arrived at 5:30 a.m. for the 10 a.m. show." This event makes me think that all the money that was wasted on Flint's pie-in-the-sky tourist schemes would have been better spent expanding the car collection and facilities at Sloan Museum, while promoting smaller-scale events. People like actual cars, not car-themed amusement parks. When Flint Expatriates return for a visit, they often end up at The Torch. Here's Jeremy Gatica, who was born at St. Joe's and worked at the Capitol Theater, and his girlfriend, Megan Crane, who isn't technically from Flint, but might as well be since her dad and grandfather are both Flintoids. They call Petosky home now, where Jeremy owns his own business — Graphics Unloaded. Royalty, and perhaps a few jobs, are headed to Flint. The city is teaming up with Swedish Biogas International to build a plant that will convert human waste — also known as poop — from the city's wastewater facility into biogas for use as vehicle fuel, heat and electricity. "We are looking to start a business here in Flint," said Peter Unden, CEO of Swedish Biogas. "We want to take a successful first step in the U.S. market." Apparently, when Sweden sets up a new biogas facility, they take it very seriously. 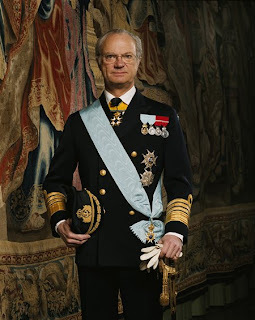 King Carl XVI Gustaf is expected to visit Kettering University on Sept. 26 during his two-day swing through the state, according to Kettering Provost Michael Harris. Note to King: Dude, do NOT wear that outfit on the streets of Flint unless you're prepared to use that ceremonial sword. "State officials have been tight-lipped on the king's travel itinerary, but Harris said plans are underway for a ceremony that will feature Gov. Jennifer Granholm as well as other state and local dignitaries," reports Bryn Mickle of The Flint Journal. "Although the king is slated to talk with Detroit automakers during his visit, Harris said Flint is his main destination." The U.S. Ambassador to Sweden is a former Flintoid named Michael Wood. He was instrumental in helping his old hometown land the biogas project. "I think he always had Flint in his heart," Lennart Johansson, the Detroit consulate general of Sweden, told Joe Lawlor of The Flint Journal. Clearly, this is just the first step to catching up with Sweden in terms of alternative energy use. "Linköping, the fifth-largest city in Sweden, now operates public buses and trash-collecting trucks, as well as a train line and some private taxis on biogas [made] from methane produced from the entrails of slaughtered cows," writes Edward M. Gomez on sfgate.com. "Similarly, Stockholm's central station is planning to harness the body warmth of 250,000 daily commuters to produce heating for a nearby office block. The body heat would warm up water that would in turn be pumped through pipes over to a new office block." And let's remember that while a visit from European royalty is rare, it's not the first time. 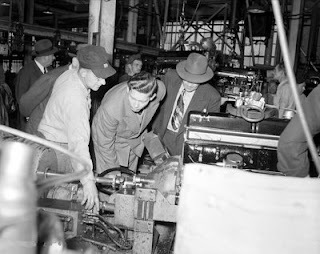 Flint Expatriate Gerry Godin has a nice post at All Things Buick on King Michael I of Romania's visit to Flint, where he checked out some Buick engines (see photo below) before holing up in Augie's Garden Glow bar across from the factory for nearly eight hours. Just kidding on the Augie's part. Bernard Rosenberg is back. 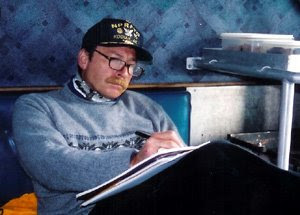 The Alaskan adventurer, fishing guide, art teacher and writer who detailed his younger days for Flint Expatriates last May, remembers his unlikely friendship with the man known as Wild Bill. Wild Bill was a greaser I sought out when we both went to Southwestern High School in the sixties because he hunted, and I wanted to do the same. Since none of my surrounding city-slick peers owned guns or even knew how to shoot one, he was my logical choice. I clearly remember bringing a box of shot shells to school to impress him. Then, it was pretty much up to him to carry through with my overture, and he did this in the shortest of time by indicating he would come by my house to pick me up on a Saturday morning so that we could practice with shooting clays. I’d been trap shooting before with my father. Never, had I done it with a friend, and now this black leather jacketed hood from hell was scheduled to come to my world and show me his ways. Wild Bill showed up at my doorstep driving a coal black 56 Chevy that was every bit as dark as his greased back hair. Riding in the front seat right next to him was a white and brown long-haired setter that was his bird dog and constant companion. In the back seat was a case of clays, a cardboard box full of individual packages of 25 count shells, and two zipped-up leather gun cases that held shotguns. Along with the guns was a cooler of beer, a loaf of bread, a jar of mustard, and a meat package wrapped tightly with several pounds of pressed baloney. His car radio was cranked up blaring out Motown tunes, and strewn about the front seat were discarded packs of empty cigarette wrappers, two dozen issues of yesterday’s newspaper, a beat-up and dog-eared men’s magazine, and so many empty crushed tin cans of Stroh’s beer that a half dozen of them fell out when I opened the passenger door. This was his world, and I slid right into it alongside his four legged friend. Believe me, if I had a tail it would have wagged just as happily as his setter when it licked my face. I was glad to be there. Truth reveals itself in times like these, and it was the bond between guns and the outdoors that had brought us together. Though we were both city kids from two different sides of the tracks, the rails of our new friendship led us right out of town and into the neighboring fields. There were farms and woods once we left Flint, and in short time the pavement surrendered itself to the endless miles of dirt thoroughfares that belonged to Wild Bill. Though he did not have a stream, he had his dirt roads, and his life had grown up riding them. Now it was his time to show his ways to another, and I supposed that’s why he became so attentive to me. Right away I knew he cared, and that truth was as obvious as what rode with him in his front seat. Now, he had two companions. As we drove deeper into the country Bill explained that many of the fields and the accompanying woods would hold small game for us to hunt in the coming months. He touted them as loaded with opportunity for squirrel, rabbit, and pheasant, and all I needed to do was to practice with him until mid-October, which was the opening of the small game hunting season. Since this was early September, there was plenty of time for us to get ready for the hunt, and since shooting pheasants was his preference, the more I practiced the better would be my aim when I went out with him. That suited me fine, and by the time we had wound our way to an old barn in the middle of nowhere, his practice area lay in wait for our the guns, shells, clays, and lunch. There was no one except just us and the late Michigan summer. I learned a lot from this new friend. We split everything all the way from the cases of shot shells to the clays we threw. Wild Bill was an excellent shooter, and his twelve gauge was an excellent gun. For me, he lent his sixteen and I took to it real quick. We spent hours at his private range and for many Saturdays returned to it. All of those earlier years with my BB gun were now traded in for larger arms and greater ammunition. The memories of tiny birds were replaced by spinning clays and I got pretty good. By the time mid-October rolled around I was ready for the hunt. It was always the same. I worked at the Fruit House on Saturdays and hunted on Sundays. By sun up I would find Bill parked in my driveway and ready to go. His dog would be in the front seat and the guns would be in the back. Motown would blare out the radio and the baloney and beer would always be there. The cigarette packs never ended, and the crushed beer cans would fall out every time I opened the door. This was our routine. Every Sunday began at six and ended by three. We spent eight hours on the roads once a week for the entire four months of hunting season. That’s a hundred and twenty eight hours each season with the biggest greaser in school. We did this for three years until Wild Bill graduated a year before me and volunteered to go to Vietnam. It was one of the most adventuresome times of my entire adolescent life. No one could ever figure out our friendship. Crossing the line between boys who wore penny loafers and boys who wore black leather jackets just wasn’t done in our high school, yet we crossed it. We each grew in our association with each other because of common bonds. Yet he was wild. I saw this all the way from the bruises on his face to the days he was suspended from school for fighting. Mercilessly, he tackled his foes as life tackled him. He was suspended, arrested, barred, and censored for many things, yet he never failed in his friendship to me. Even when he came back from war he returned to my life, and through my urging went to my university to get a degree to teach via governmental paybacks. Bill is now gone from my life. We had a terrible fall from friendship during the last of my university days when he became violent and turned on me and almost beat me senseless. I smashed a glass pitcher and went for him with a sheared broken-glass handle in order to save my life. He jumped through a plate-glass window to escape. That’s the last I saw of him. I didn't hear about him for several years until a school-board attorney called and asked me if I thought this person was capable of carrying through on his threat to take a teacher’s life. My advice was to take him seriously. Those three hunting seasons computed to three hundred and seventy four hours with a man who pulled the trigger each and every time and seldom missed. After all, he hadn’t earned the nickname Wild Bill for nothing. 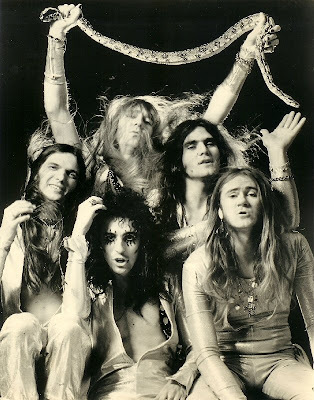 Yet my recollections of Wild Bill are not dominated by this bad ending. He was simply my friend from the other side who taught me his ways and showed me his roads. I will always remember him in that coal black Chevy with his dog and me right beside him. We were good friends, and that has left me with a most cherished memory. 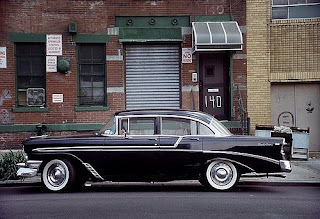 Photo of the 1956 Chevy courtesy of photographer John P Sullivan. Is wind farming in Flint's future? "But, now the windy Great Lakes region may start to be populated by powerful generators of renewable energy. 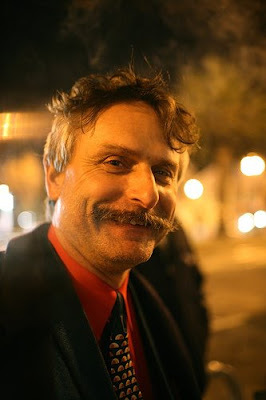 A man named Steve Smiley (how can you not like this name?) envisions the Saginaw Bay area of east Michigan sprouting wind power in the near future. "Smiley has already helped construct two other wind turbines in Michigan in the Mackinaw and Traverse areas. According to the local wind maps that show where consistent corridors of high winds prevail, the territory they harbor is over the water. "According to Smiley, part of the infrastructure to build the needed wind turbines exists in Flint, Michigan which will make the residents there plus Michael Moore very happy people." The Flint Journal is my new best friend. 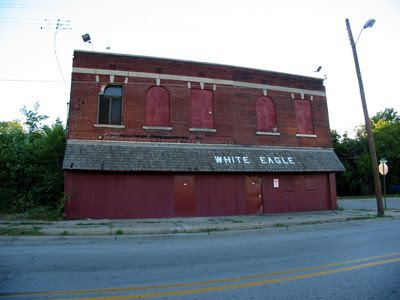 "It was a popular hangout for Flint music scenesters during 1981-1983. Many shows were held about a block away at 909 Detroit St. (MLK). The Touch Boutique (also about a block away) was a legendary head shop in the early/mid 1970s. It eventually became a home to members of Jesus Christ and the Superstars and Pincusion in the late 1980s." The more recent photo is the work of Jar With Most. Two postcards from the 1988 "Greetings from Flint" series by Kenneth A. Hannon, sponsored by the Greater Flint Arts Council. "A 44-year-old Flint man was charged in the Friday shooting death of Lamar A. Williams. "Police said Anthony Allen got into an argument with Williams, 31, on Ridgeway Avenue near Dupont Street. Allen allegedly grabbed William's gun, shooting and killing him, before barricading himself in a nearby house, police said. "Allen was charged with open murder, use of a firearm in commission of a felony and felon in possession of a firearm. Flint police Sgt. Jeff Fray said the cooperation of witnesses in the neighborhood led to the charges. "A third man who is believed to have witnessed the fight also is being sought for questioning. Anyone with information can call Fray at (810) 237-6907." If you ever watched Red Wings hockey on Channel 50 out of Detroit, this might bring back some memories. Suddenly, today's SUV's don't seem so big. 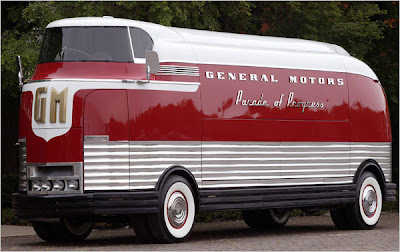 As this Futurliner from 1953 shows, G.M. designers got a little nuts when production feasibility was not an issue and they were creating futuristic masterpieces for the traveling showcase known as Motorama. The G.M. flights of fancy will be featured at this years prestigious Pebble Beach Concours d’Élégance car show. "In its heyday during the 1950s, Motorama delivered the automaker’s message of postwar optimism to millions of curious spectators," reports Don Sherman for The New York Times. "On display will be the 1938 Buick Y-Job that begat the dream-car era; 17 Motorama showpieces from the 1950s; a 1959 Corvette racecar that forecast the ’63 Sting Ray; and one of the custom-crafted trucks that hauled Motorama exhibits around the country." The Firebird III from 1958. The final "dream car" built by Harley Earl. Flint can't catch a break when it comes to jobs and the economy, but some things are easier to catch than others. "Syphilis continues to spread among Genesee County residents, according to the latest health alert issued this week by the Genesee County Health Department," Elizabeth Shaw of The Flint Journal reports. "So far in 2008, 70 cases have been reported in the county, an increase of more than 400 percent compared to 2007." "A 33-year-old man is dead after a late night shooting Saturday. "Police responded about 11:15 p.m. Saturday to the intersection of Fleming Road and Bellcreek Drive regarding shots fired and a man down in the intersection. "Derrick Lamont Henderson died of gunshot wounds. "Police said witnesses heard several gunshots and observed a dark-colored SUV speeding away from the scene." When you're desperate, sometimes other desperate people seem very appealing. Same goes for automakers; Ford and G.M. may join forces to create engines and other powertrain technologies, according to anonymous sources at The Detroit News. 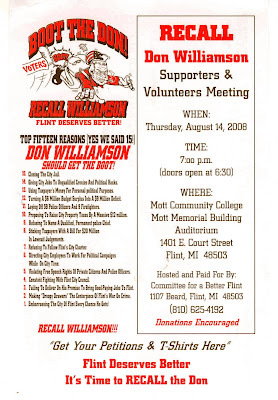 As you can see, there's an effort underway to recall Flint Mayor Don Williamson. In fact, Flint may be catching recall fever.